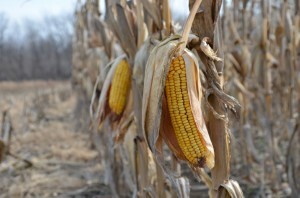 Late-sown corn in the U.S. is at risk of frost damage in the northern and northwestern Corn Belt because of delayed development, according to Michael Cordonnier, president and owner of crop analyst Soybean & Corn Advisor Inc.
Should initial frosts occur two weeks earlier than normal on Sept. 15, “we would have a big problem,” he wrote in an online report today. 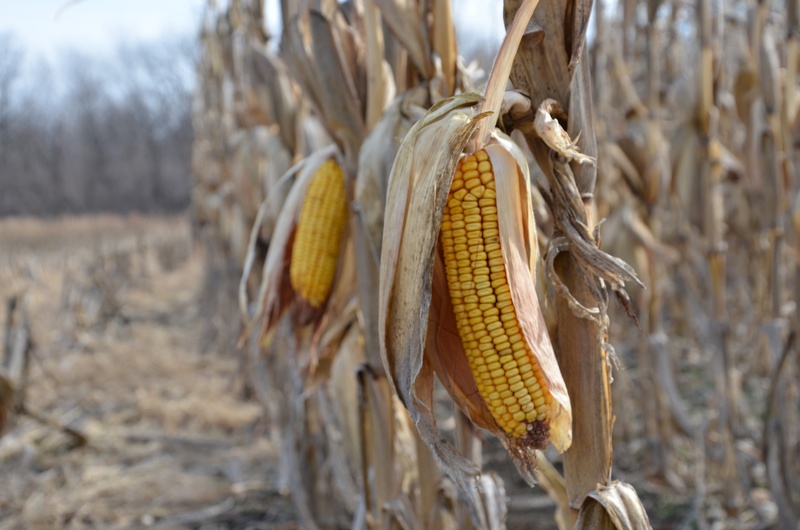 Early frosts may leave the corn yield in the U.S., the world’s biggest producer of the grain, at 150 bushels an acre (9.42 metric tons a hectare) or less, it showed. The Midwest is set to have near to below-normal temperatures through August’s first half that will aid corn pollination, forecaster DTN said yesterday in a report. If that pattern were to continue beyond pollination, the crop would be vulnerable to an early freeze because late planting would leave it lacking maturity, DTN said. For a “killing frost” that ends the growing season, temperatures would have to fall to 27 or 28 degrees Fahrenheit (-2.8 to -2.2 degrees Celsius) for three to four hours, according to Cordonnier. Temperatures of 31 degrees Fahrenheit for a brief period would cause little damage, he wrote. Corn in Iowa, the biggest U.S. growing state, was 2 percent in the dough stage as of Aug. 4, compared with an average of 21 percent normally for that date, Cordonnier wrote. For Minnesota, 2 percent was at that stage, against an average 11 percent, while the respective figures for North Dakota were 3 percent and 16 percent. At the dough stage, which occurs about 24 to 28 days after silking, kernels have reached about half of their mature dry weight, according to the Iowa State University Agronomy Extension website. Silking is part of the pollination stage. The “ideal situation” for corn in the northern and northwestern Corn Belt would be for the first frosts to come two weeks later than normal, the analyst wrote. That could mean a U.S. yield as high as 160 bushels an acre, he wrote. If the first frosts were to occur Oct. 1, the average U.S. yield would be in the “mid-150 range,” the report showed. Corn plants are safe from frost when the grain reaches the stage known as black layer, with 30 percent to 32 percent moisture content in the grain, occurring about 60 days after pollination, according to the report. A black layer at the base of the kernel indicates the grain is mature. Late-developing soybeans will also be at risk from early frost, Cordonnier wrote. The U.S. is the biggest global producer of the oilseed. “If the first frost occurs two weeks earlier than normal on Sept. 15, these late soybeans are going to have a big problem and the nationwide soybean yield could be reduced to 40 bushels/acre, and in a worst-case scenario, maybe even lower,” he wrote. Initial freezing temperatures on Oct. 1 might result in an average U.S. soybean yield of 42 to 42.5 bushels an acre, while a two-week delay might give 43.5 to 44 bushels an acre, according to the report. Previous: Farming? There’s an App for That!